Introducing our ever popular Sia charm's big sister. A 20mm version of our beautiful sterling silver pendant with integrated hanging loop has been designed so you can personalise even further. Add up to 55 characters on this elegant sterling silver charm. 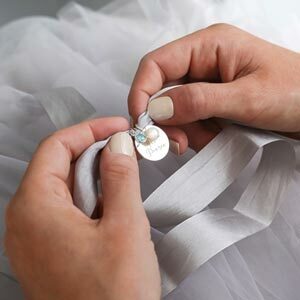 The original Sia is a firm favourite here at Bloom Boutique thanks to the elegant, integrated hanging loop on the sterling silver disc charm which is paired with a classic script font. 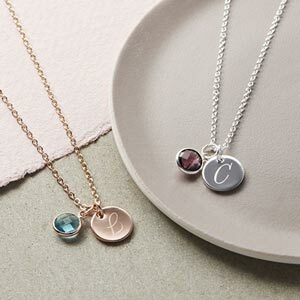 It's a pendant perfeclty designed to carry an initial and because of its popularity, we've decided to bring you a large version allowing even more possibilities for personalisation. Engrave a name, memorable word, phrase or simply a larger letter for a more eye-catching look.